To register simply download the registration documents on the website dedicated to the event and follow the instructions. The crew must have its own location and mounting hardware. The film must be made ​​longer than 8 minutes and less than 30 minutes. 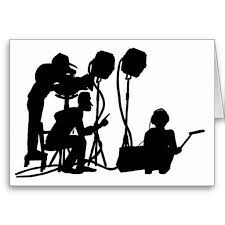 The crew must accommodate 2 trainees ( students or audiovisual communication). Periods of shooting and editing must be respected (from 23 to 30 June 2018) . The team must participate in the production of meals that take place from 19h to 22h 30 .The rendering of the films on Sunday night until 19:30 to be classified " in competition ". Latecomers have up to 00h party selecting " out of competition ".Beyond this time , the films will be refused. Members of the registered team must sign a participation agreement .The registration fee is € 95 per team of 4 people.